There has never been a better time to be a writer. But that doesn’t mean that it is easy to find an audience, or find success as defined by book sales, positive reviews, or bestseller lists. I attended the Writer’s Digest Conference this past weekend, spending my days chatting with writers, literary agents, and many who support authors. Below are the top three things I took away from the many conversations I had at the event. If you want to “just” write, that is fine. 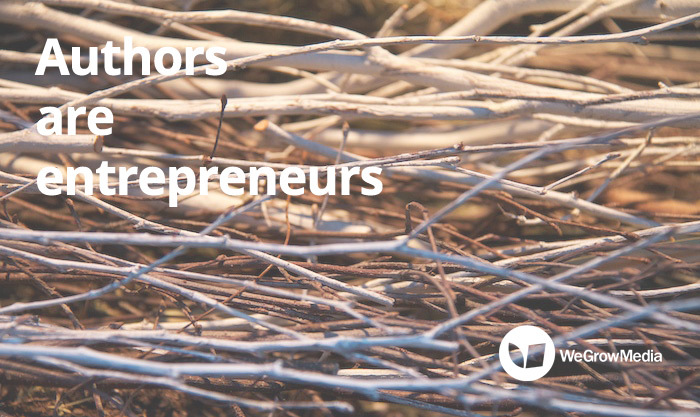 But if you want to engage with the business of publishing, put on your entrepreneurship hat. This year, I noticed that the writers in attendance were much more willing to embrace the many facets of what it means to be engaged not just in writing, but in the publishing and audience development processes. This requires a broader range of skills, from market research, to messaging, marketing, partnerships, and learning how to not just craft a book, but craft a platform. What this means is that if you are just looking for a lottery ticket, for someone to magically make your writing dreams come true, that you may be grossly disappointed. What I see at events such as this are writers in the trenches, sharing not just inspiring stories, but talking about the daily work of learning all facets of publishing and ensuring their work has an impact with readers. The reality of what it means to be an author today is: there have never been more opportunities to find and audience and sell books; and that takes hard work. It always surprises me when a writer indicates that they don’t want to talk to readers. They do this by calling it “marketing,” making it seem like a soulless process whereby you trick readers to read your work. But really, this is the good stuff. Whether you write fiction, nonfiction, memoir, poetry, or other work, wouldn’t you WANT to chat with others who share your love of this work? Too often, I hear an author subtly asking for a “secret button” that shoves their work in front of thousands of people. They want some trick to using Goodreads or LinkedIn or Amazon that magically delivers an audience. But as any successful author will tell you, it happens one reader at a time. 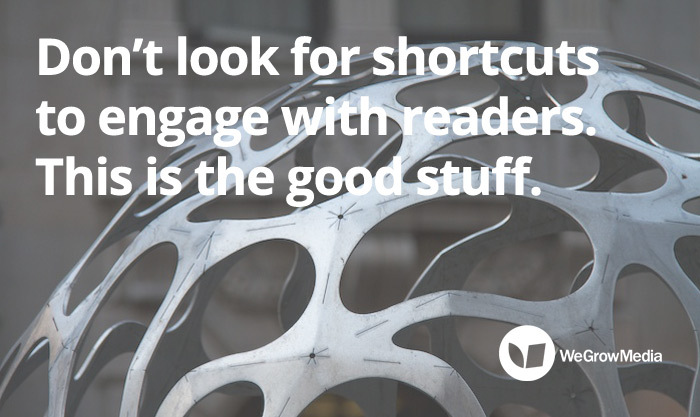 When I work with authors, we work through the hard stuff that many writers skip: the deep research of their market, their audience, and how to establish communication channels and messaging that aligns them with readers. For me, this is a process of creating meaning, establishing relationships, and turing ideas and stories into conversations. It is NOT about spamming social media sites with promotions for books. Whenever a successful author talks about their journey to finding an audience and selling books, they always talk about their team: the partners who helped them. It could be critique groups, beta readers, literary agents, editors, publicists, and many others who support writers. Consider who you can partner with on this journey. Information can be powerful, which is why I write this blog and create ebook guides on topics such as blogging and social media for writers. But I also feel that working WITH others is critical, which is why I teach online courses, and work one-on-one with writers to help them find and grow their audience. 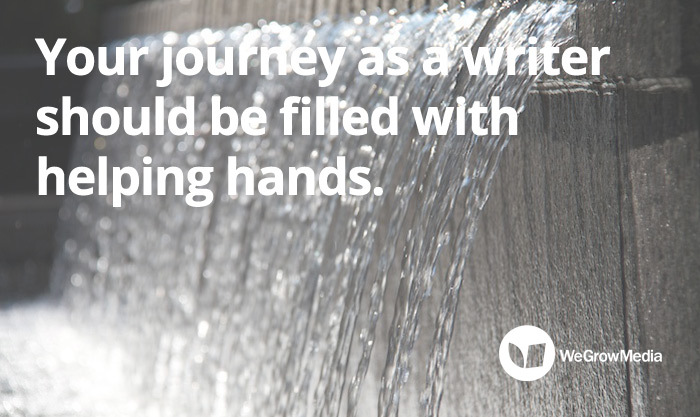 Your journey as a writer will be uniquely yours. Be wary of excuses that close doors. The writers I find who are having the most success, be it traditionally published or self-published, are those who are open to rethinking what it means to engage with readers, and find ways to align with them, not sell to them.